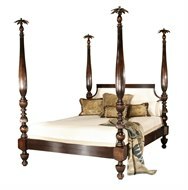 This interpretation of a Raj Bed was the first item in our Brighton line. It features finely turned, solid maple posts and tropical palm leaf finials. 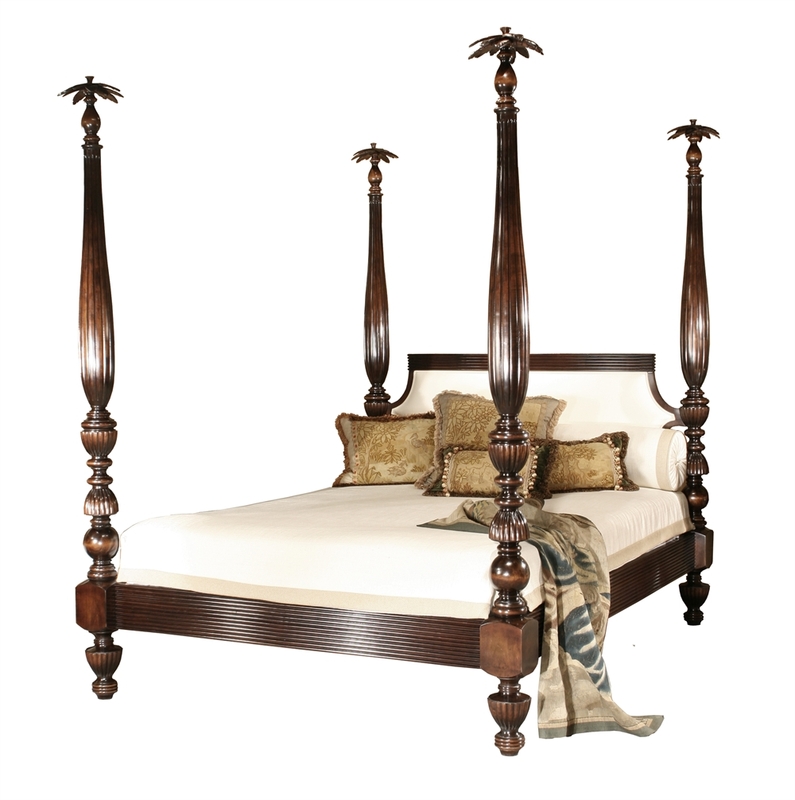 It can come in myriad variations of the original, with either a wooden or upholstered headboard. This bed features our new "Charcoal" finish and an exceptional fabric covered headboard. 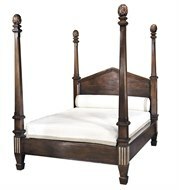 This bed is available off the floor, and is also available as a king, or California king in your fabric and finish.